Samsung Galaxy S10 leaks have picked up pace, and the device is said to come in three variants. The Samsung Galaxy S10 Lite is tipped to be the cheapest of the lot, and this variant has now been leaked in a concept render. The render shows the design of the Samsung Galaxy S10 Lite, and it is seen sporting a bezel-less and notch-less display, instead sporting what Samsung calls the Infinity-O Display. The hole is seen resting on the top right edge of the device’s screen. Renders and a case of the Galaxy S10 was also leaked. Tipster Ice Universe has released a concept render of the Galaxy S10 Lite based on leaks, and it shows only the front portion of the device. The smartphone is seen sporting an Infinity-O type display with little-to-no bezels on any side of the screen. The volume rockers are situated on the left edge of the device, the USB Type-C port sits on the bottom edge, alongside the speaker grille and the 3.5mm audio jack. As mentioned, the Samsung Galaxy S10 Lite is expected to be cheapest of the lot, and said to sport a 5.8-inch display, a triple camera setup at the back, and a side-mounted fingerprint scanner. 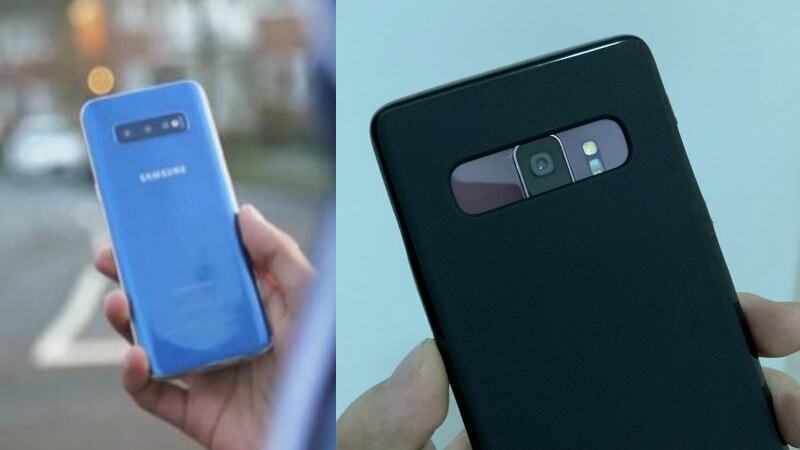 Separately, the tipster has also leaked renders and case of the Samsung Galaxy S10 and it shows the back camera setup of the smartphone. The three cameras are seen aligned horizontally at the back, with the flash sitting at the end. There is no sight of the fingerprint scanner at the back, and the premium variants are set to sport an in-display fingerprint scanner. The Infinity-O Display was first unveiled alongside the Infinity-U and Infinity-V designs back at SDC in November. Apart from the regular models, Samsung is currently in the news for developing a 10th-anniversary Galaxy S10 model that is codenamed “Beyond X” and is speculated to have 5G support as well as a total of six cameras. The new Galaxy S10 series is expected to arrive early next year.